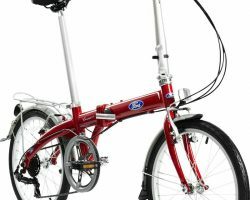 The partnership between Dahon and Ford brought us a wide range of new folding bicycles in the US. Most of the bikes have a very affordable price and received many positive reviews on Amazon. 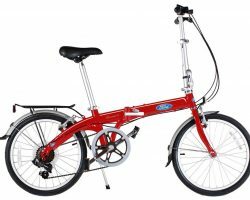 In this post, we’re going to take a look at the Ford by Dahon Convertible 2.0 7-Speed folding bicycle. 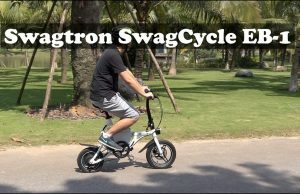 I’m impressed that the Convertible is cheaper than many other Dahon bikes with similar specs. 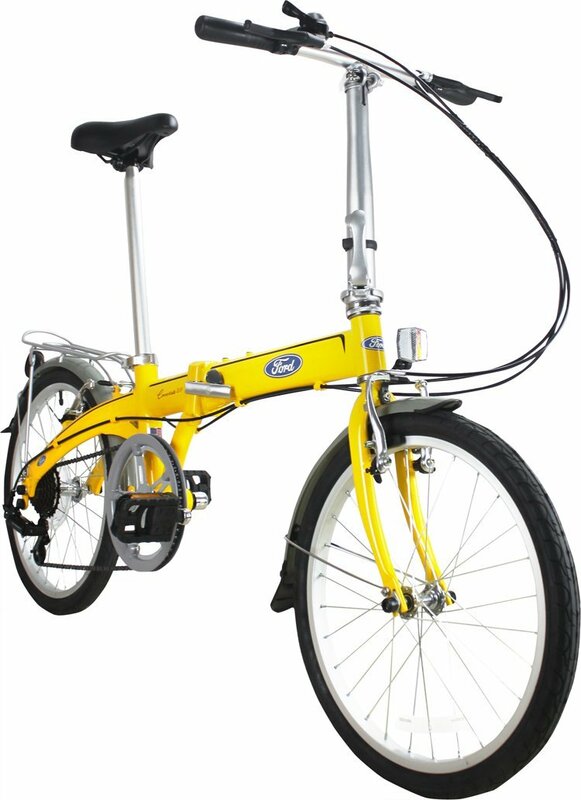 Of course, there are some compromises but this is not a bad choice if can’t cash out any more dime. 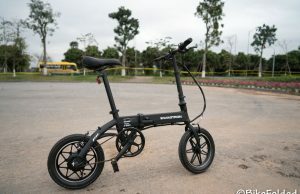 In case you want a better build and design, you can go with other decent choices like Dahon Vybe or Dahon Mariner D7. 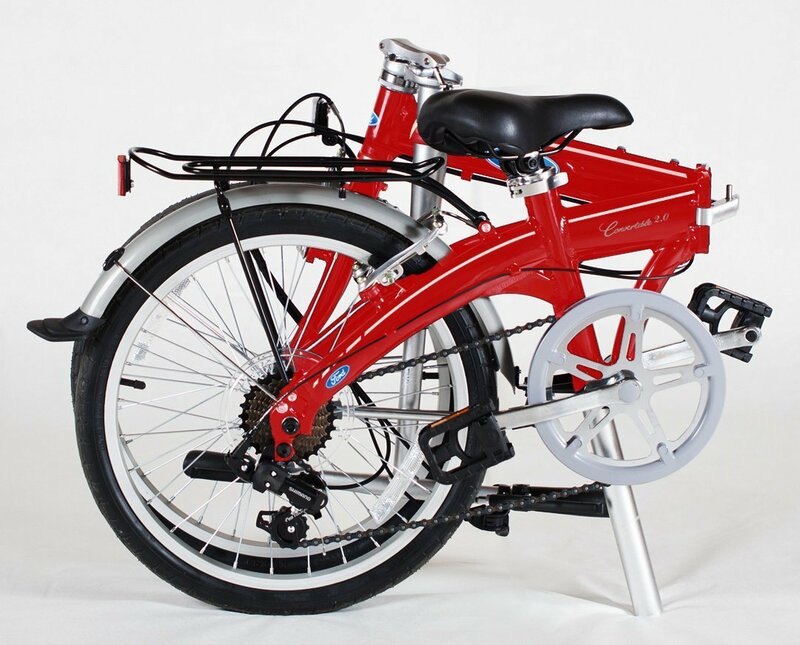 Although the Convertible 2.0 features aluminum frame and fork, it is still not a lightweight bike. 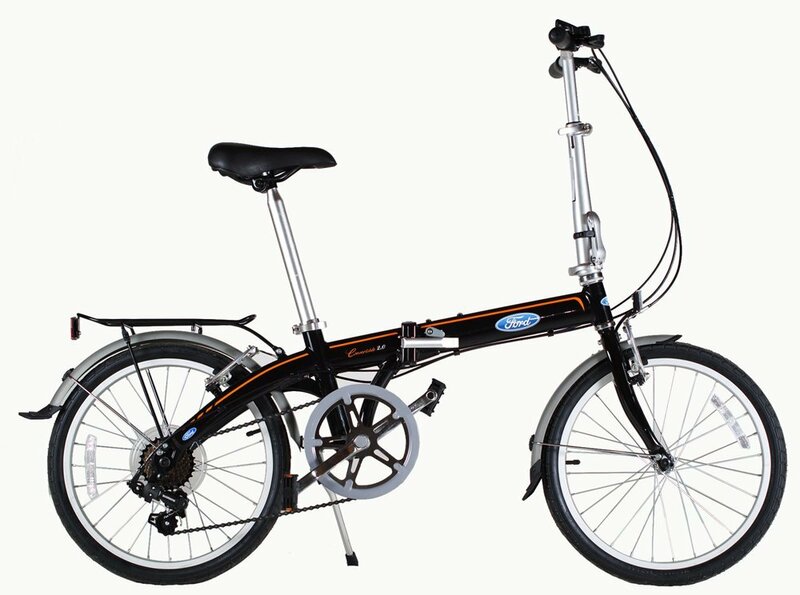 In fact, it is among the heaviest 20-inch Dahon folding bikes. 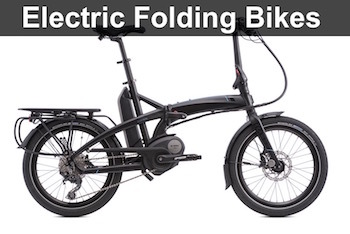 However, an advantage of the bike is that its folded size is fairly compact. 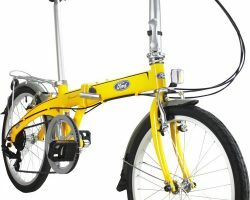 I love that the handlebar is secured between the 2 wheels, so there is no dangling part when you carry the bike. 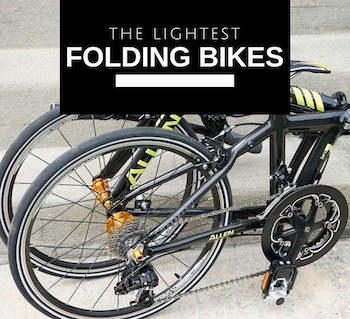 It could take a little more time to fold the bike but it’s totally worth it. The folder has a Ford logo on the frame but it is entirely designed and manufactured by Dahon. 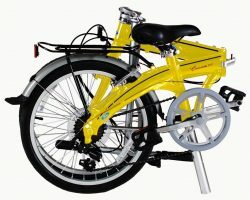 Therefore, you can find the design similar to many other Dahon bikes. 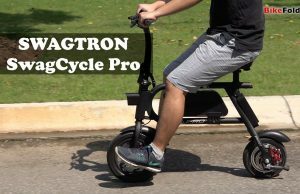 The folding mechanism is the same with lattice forged hinge, the stem and seatpost are adjustable, and it comes with the Shimano drivetrain. 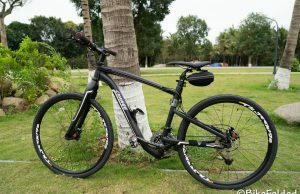 In terms of riding experience, the bike has a good performance when I test it on the streets. Shifting gears is smooth, the saddle is comfortable and I can adjust the seatpost height so it could fit other members in our family. 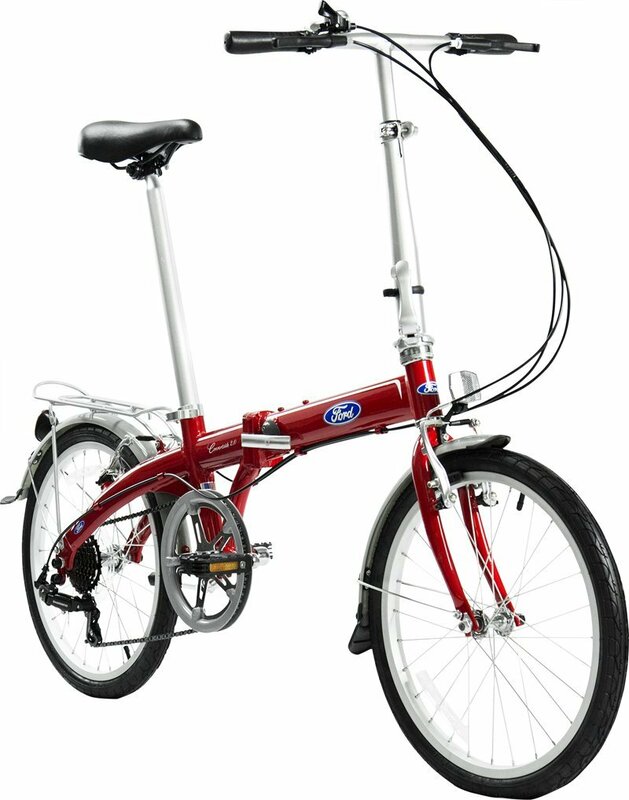 This is not a fast bike but I have no complaint riding it. You should be able to use it for years with proper maintenance. 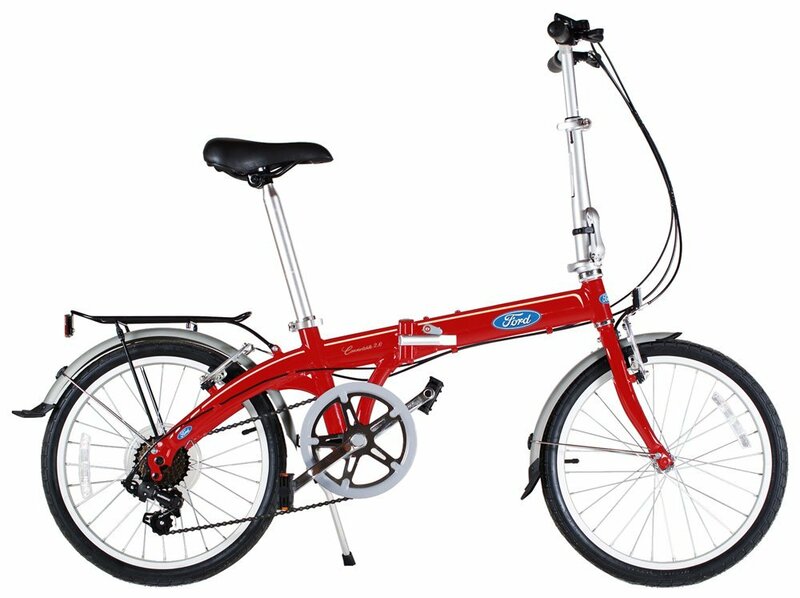 The Ford by Dahon Convertible 2.0 is probably the lowest-priced Dahon bike with 7 speeds. 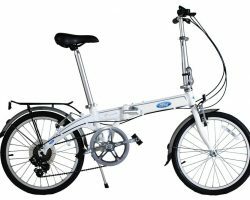 This is totally a good value if you are looking for your first folding bike. 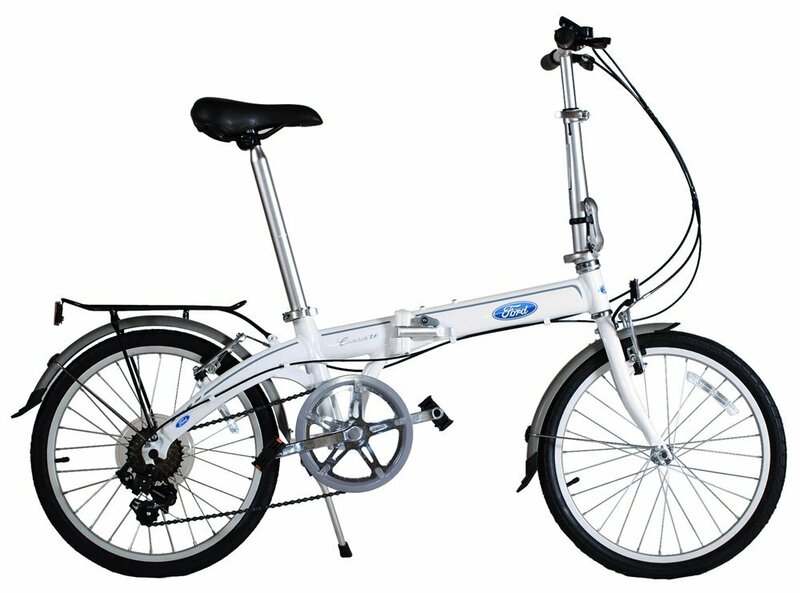 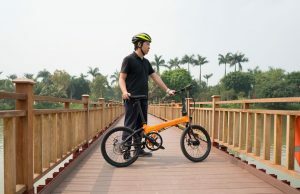 A good choice for first-time folding bike user.